Home Reports How to view the Supplier Invoice Number and Date of a purchase transaction in Purchase Register of Tally ERP 9? 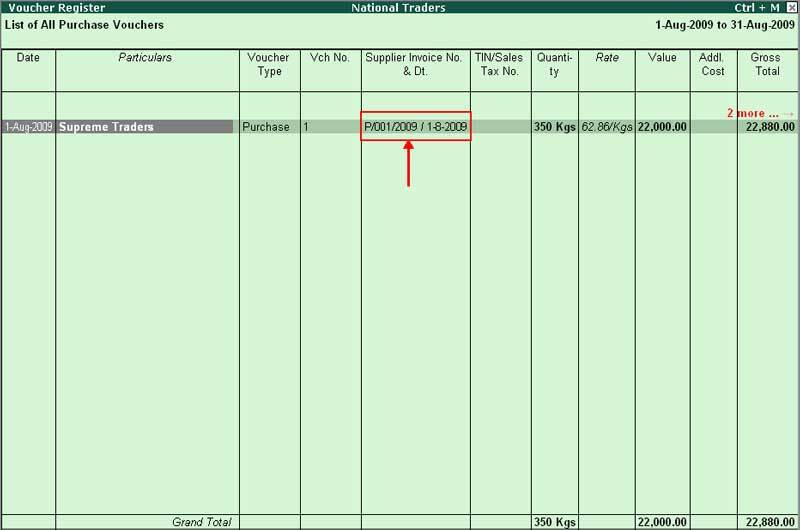 How to view the Supplier Invoice Number and Date of a purchase transaction in Purchase Register of Tally ERP 9? The fields – Supplier Invoice No. and Date have been provided in the Purchase Voucher for a VAT enabled company of Chandigarh, Chhattisgarh, Dadra & Nagar Haveli, Daman & Diu, Delhi, Goa, Gujarat, Haryana, Himachal Pradesh, Jammu & Kashmir, Karnataka, Kerala, Madhya Pradesh, Maharashtra, Orissa, Puducherry, Punjab, Rajasthan, Sikkim, Uttarakhand, Uttar Pradesh and West Bengal. The details entered in these fields will be captured in Purchase Register. 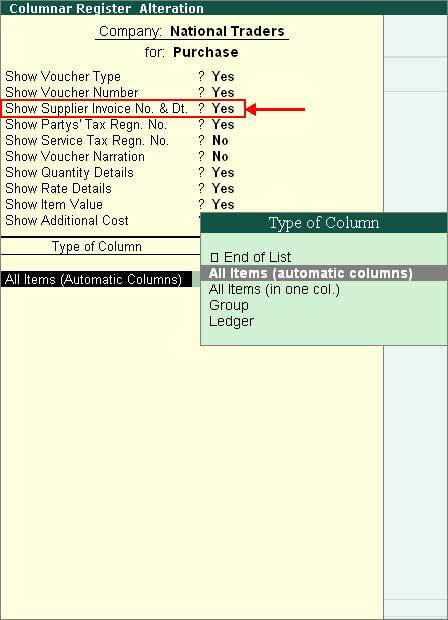 In the Voucher Register press F5: Columnar button and set the option Show Supplier Invoice No. & Dt. to Yes. Set the other fields as per requirement. The same method is applicable for sales register also, You can view the invoice number and date using same method. I am unable to View Invoice Date of some Purchase Accounting Bills .. What can i do to fix this problem?? I have added Supplier No. & Date .. But to for Readymade Purchase it doesn’t show Date… Can Someone help me for this? ?